MOSCOW — Rough diamonds worth millions of dollars have reportedly disappeared from Russia’s supposedly impenetrable repository created by the Bolsheviks to store the tsar’s jewels. The state-owned Severalmaz company handed diamonds weighing a combined 150,000 carats — or 66 pounds — to the Gokhran repository for inventory purposes, according to respected business daily Kommersant. 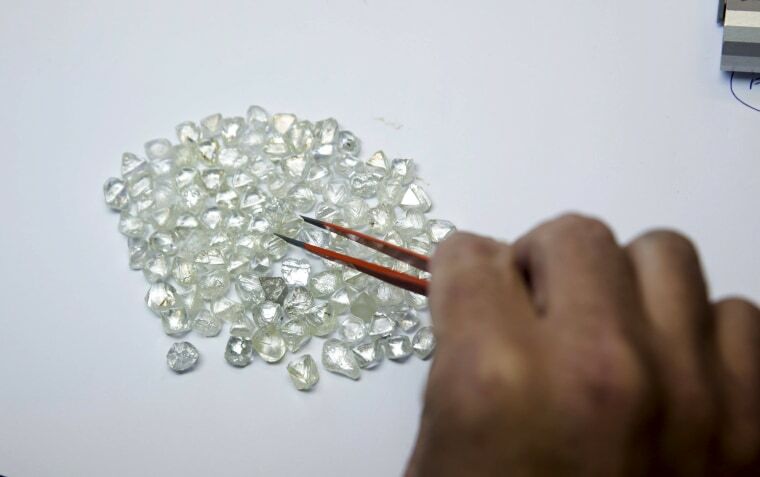 Citing sources close to the investigation, the paper said the same weight in diamonds was returned – but four of the biggest stones were missing and had been replaced by multiple smaller ones. The missing diamonds reportedly including a 23-carat stone. They were insured for a combined $500,000. That means their real market value was several million dollars, Sergei Goryainov of Rough & Polished, a diamond market analysis company, told NBC News on Thursday. Neither Gokhran nor Severalmaz returned repeated requests for comment. The Gokhran was created in 1920 as a storage facility for valuables confiscated by the victorious Bolsheviks from their enemies, including the Russian nobility, the tsar family and the Orthodox Church. Today, it stores Russia’s supplies of gold, silver, platinum, diamonds, emeralds, sapphires, pearls and amber. The size of Gokhran’s stores is classified. Despite its reputation as “Russia’s Fort Knox,” the agency has fallen victim to inside jobs in the past. The first Gokhran embezzlers were executed a mere year after its founding. And in 2001, four senior employees were convicted of stealing $187 million worth of valuables from the repository.